Ask fellow campers about "Brantley Lake State Park" and nearby attractions. Bathrooms cleanliness was disappointing. No amenities other than a small playground. The lake was very low and you would need to drive to access. Overall a fine place for a night or two. A great value at $14 a night. We camped at Brantley Lake State Park in a Motorhome. Limestone CG at Brantley Lake is a distance off the highway and the pavement is not maintained well. Sheltered picnic table with one wall was some protection from the wind. The lake was not easily accessible for fishing. Within the site it was level but most of the sites were on an incline. Ours was not quite as inclined as others. Using the Relief Route avoids downtown Carlsbad. Camp host was very helpful. OTA channels but no wifi. 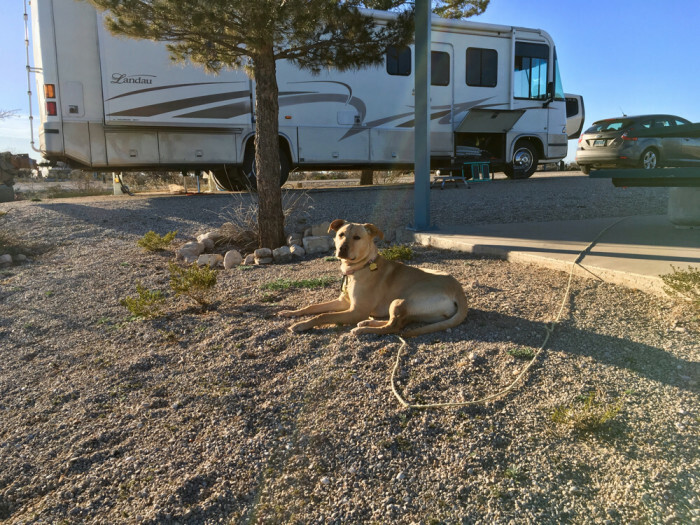 We camped at Brantley Lake State Park in a Fifth Wheel. Albertson's grocery store was not RV friendly. It was difficult to park our 1T truck. The park is located on the east side of the dam. Four plus mile ride on a paved road to get there. 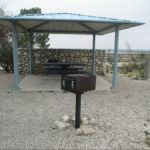 The sites were spacious, had covered picnic areas and grill. No ground fires although I did see another camper with a bon fire going in the grill. There are two or three full hook up sites at $18 per night. Ours was 50 amp and water $14 per night. The dump station is located on the access road near the entrance to the campsites. It is large enough for a big rig to maneuver in. Great desert views. Wind could be a problem as there are few trees on site. Half of the sites were reservation and half are first come. We camped at Brantley Lake State Park in a Motorhome. Carlsbad NP is about an hours drive. Guadalupe Mountain NP is about 1.5 hour drive. (You "lose" and hour when you cross the Texas state line. Wal Mart and Albertsons were crazy busy even mid week. Milton's Brewery in Carlsbad was a decent place for a beer. Great stay for a night or two in the desert. Quiet and spacious. We camped at Brantley Lake State Park in a Motorhome. Bring what you need for your stay. You will be out in the desert. Nice paths. This is our first visit to Brantley. Been here 4 nights, leaving tomorrow. The park is fine. I wouldn’t call it “beautiful” as someone else has. The lake is a distance away & we have a small view of a corner of it. The rest of our view is flat, limestone, rocky nothing. Only a few sites have sewer at an additional cost. Ours did not. 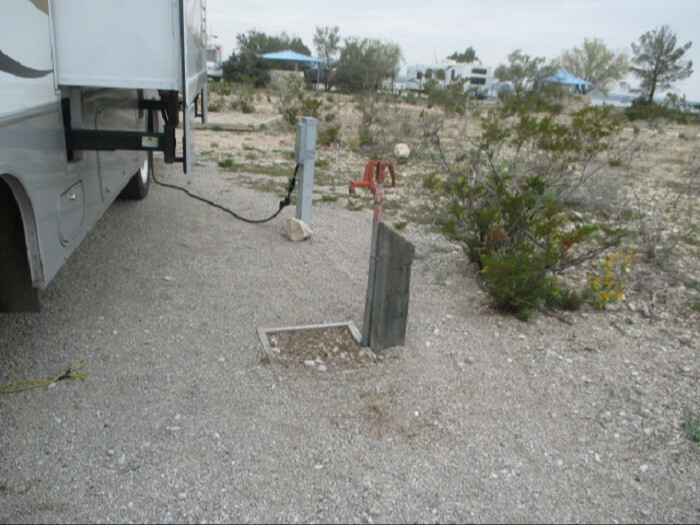 There is a dump station accessible from both sides of your rig. No wildlife to see, either. I’ve been looking and saw one hawk and one roadrunner. It’s also been VERY windy up here; location is a higher elevation compared to surrounding area, and no barriers to block the wind. 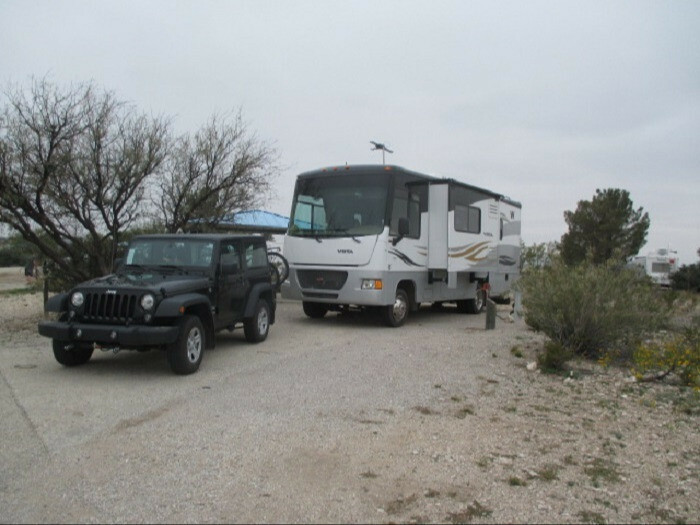 Site 11 is just big enough for our 35’ motorhome with compact car parked at an angle. Nice gravel area, picnic table on pad with sun cover. Charcoal grill. No ground fires allowed at any state parks right now. Bathroom looked clean, showers are the type where you have to push the button to start the water as you are standing right there where the water shoots out at you, and sign says it can take a few minutes for hot water. Bring a long pole with you or you’ll be starting your day with a cold shower! It’s a LONG ride to anywhere from here. There is one grocery store in town, Albertsons, and our two visits there were total insanity. Could not find parking in the middle of a weekday. Second time someone actually stole my space as I was in process of backing into it! It’s a desperate situation! Walmart is down the other end of town. One hour plus to caverns. New Mexico State Park annual pass is $225 for "out of staters", and for someone who plans to spend more than 22 days a year camping in the state, it’s a no brainer. (I had read that the annual pass gets you free camping, which is not exactly true - it’s free if you’re paying for primitive sites, which cost $10. Otherwise, the pass gets you $10 per day off the cost of your site, so I’m paying $4 per night for this site.) We prefer state parks even without a view! Really not much to do in Carlsbad. The caverns are outstanding, of course! OH! 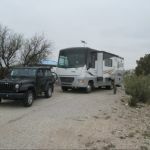 There are oil fields nearby; you can’t really see them from the campground, but if the wind is blowing in the wrong direction I get a faint smell of petroleum inside the motorhome as well as out. Something to be aware of if you are sensitive to odors. We camped at Brantley Lake State Park in a Motorhome. Bring all your groceries and avoid Albertson's if you can. I think they are building a new Albertson's next door, but really this town needs more than one grocery store! Setting was beautiful. Don't even think about taking a shower here though. You have to hold a lever down, it sprays for 30 seconds and NEVER gets hot. Some toilets do not work either. You have to drive about 20 miles to Carlsbad city. Close to caverns also. 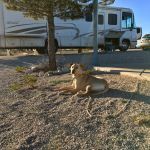 We camped at Brantley Lake State Park in a Fifth Wheel. Carlsbad Caverns when the government shutdown is over, Sitting Bull waterfalls. This park has a couple small trails but they are rocky. Only a few sites have sewer, but there is a dump station nearby. Electricity is 30 amp only. All sites have a view of the lake which is a bit of a distance away. Great Verizon. We camped at Brantley Lake State Park in a Motorhome. Carlsbad Caverns is about an hour south but you need to go there! 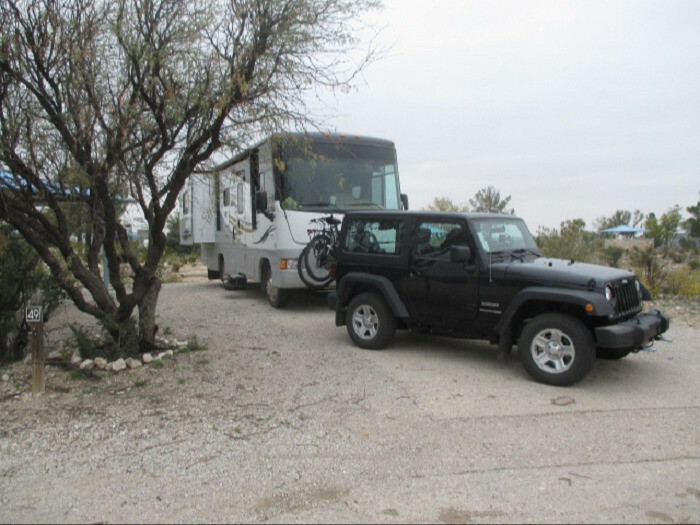 This state park we stayed out (our second time) on the way from San Antonio up thru to Santa Fe. 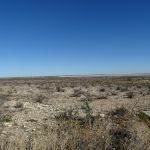 We wanted to visit Carlsbad Caverns again so this cheap, clean, easy state park was our first choice. We arrived after dark but knew our way around so we found an open site. There were no open sites in the first come loop but in the reserve loop, there were plenty that had one night only and could be used without a reservation. When we got up the next morning, we looked on line and the site we chose was empty for the entire week (along with half the loop). We stayed two nights and paid each night without making the reservation. Verizon cell and over the air channels work well here. Two nights without sewer was no big deal but there are a couple you can reserve with full hookups. The park is a long drive to Carlsbad and into the park is a long drive off the main rode but we like it enough to forgo that convenience. Self registration and clean bathrooms. The sites are rather short and mostly back-ins but if u want to unhook there is room to put the truck out of the way. A big hill and plenty of walking to the lake etc. 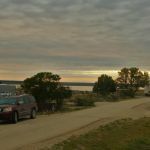 We camped at Brantley Lake State Park in a Fifth Wheel. This park suites our needs to visit Carlsbad but the town itself has grown because of the near by oil fields. The drive from Pecos to Carlsbad was horrible. Truck traffic and rush hour snarls the entire way. The traffic lights thru town make for a very frustrating drive at times and long lines of big trucks make for long delays. Good Mexican taco trucks and small restaurants plus everything commercial you need. Access is paved all the way. Perimeter roads are paved and in good condition. Check in was very easy (self check in). Our site, 49, was a back in with a covered table, power, water with a grill on a stand. OTA TV was good, Verizon was 4 bars. This is a very quiet park. No long terms were noted. There is a 14 day max stay. 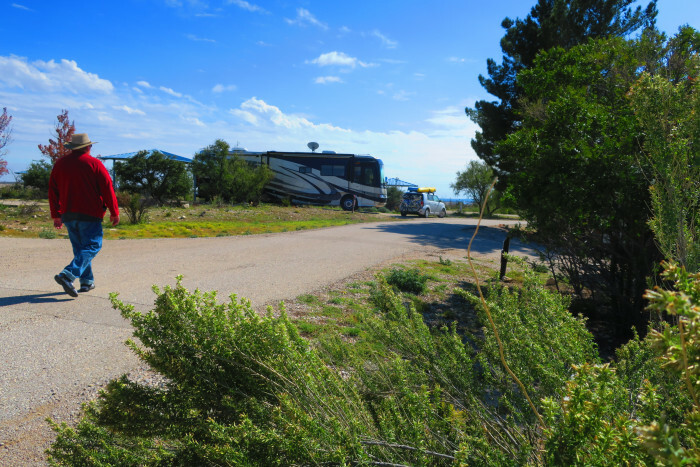 We used this park as a base to visit The Carlsbad Caverns. It is a bit of a drive but we just didn't like the reviews for parks closer in. We are glad we stayed here. 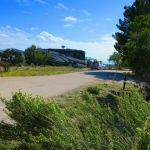 $14,00 for a power and water site is a bargain. There are not services or restaurants within walking distance. Washrooms and showers appeared clean and well maintained. Free dump station just a ways down the road. We would return. We camped at Brantley Lake State Park in a Motorhome. One must do the Carlsbad Caverns!!! We stayed in a reservable site with sewer hookup that was in the back of the lot. Had to use 2 sewer hoses to reach. Easy to level. Water pressure good. Parking spot big enough for 40' fifth wheel. Had to disconnect. Steps down to the picnic area was kind of nice, yet left little room to step out of the RV on level ground. Easy to get around in our big rig on the inner roads. 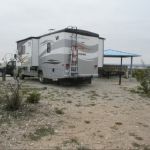 We camped at Brantley Lake State Park in a Fifth Wheel. 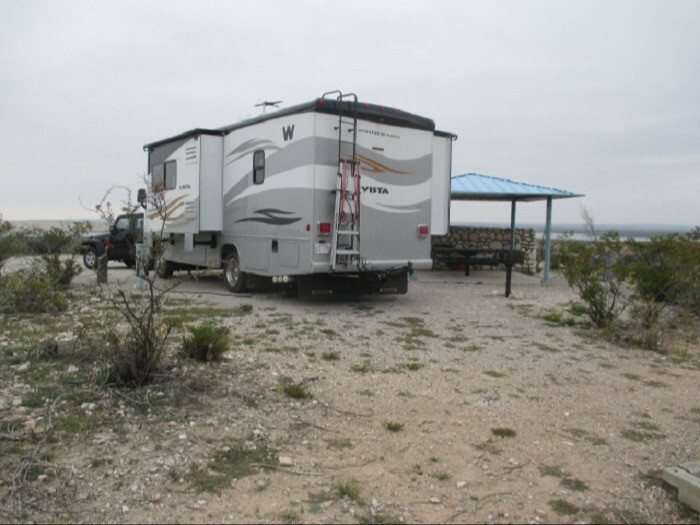 When looking for an RV park that is close to Carlsbad Caverns, this one stands out simply because its so beautiful. Its a bit of a drive (25 minutes from the town of Carlsbad) but the roads are good and the stars are clear at night. Most of the sites have views of the water (and all are just a short walk to the shore line). 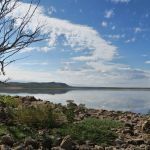 Its high desert so expect to see rabbits and coyotes; this lake is also on the fly zone so expect to see lots of water fowl. Only a few of the sites had sewer hookups; dump station is conveniently located on the road in/out. We camped at Brantley Lake State Park in a Motorhome. 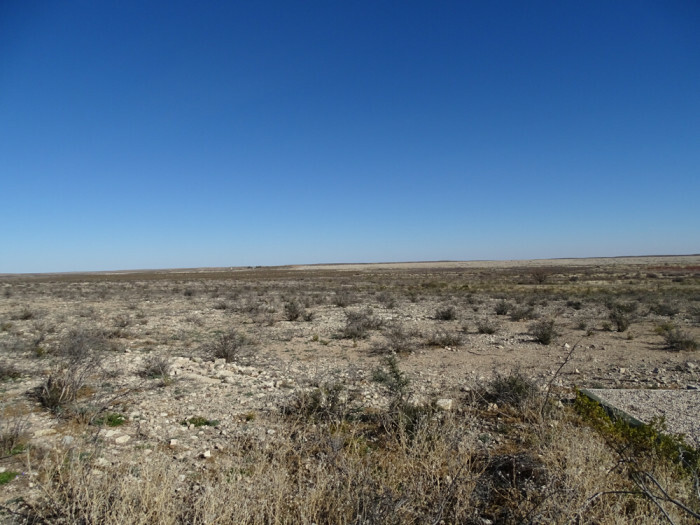 The drive to Carlsbad Caverns is less than an hour. Best grocery store in town is the Albertsons. The local Zoo & Botanical Gardens are a bit tired and in need of attention (so show them some love and drop by). We stayed 4 days and enjoyed what the area had to offer. The caverns are not that far away and you had shopping available in Carlsbad if needed. We had an unexpected visitor every morning (road runner), he/she would stand by the tree at our site and watch us eat breakfast. Then by the time we were done it would move on. The campground is a great location. Power to our site was out of order. We camped at Brantley Lake State Park in a Tent. 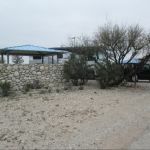 A very nice State Park with great rates to stay in when visiting Carlsbad Caverns and other area attractions. I would stay here again. The only downside is no sewer hook ups. However, the dump station was good and they had pressured water to flush your black tank. 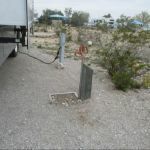 I brought my portable tank to take the black/grey water so would not have to move the trailer but it was way too far to the dump station (about .60 miles) to use. Also it was super windy when we were there. Nice trails to the lake. We camped at Brantley Lake State Park in a Travel Trailer. The most outstanding quality of this CG is the price ($18) and it's quiet. It's at least 20 min to Carlsbad to get food/fuel/ice/etc and about 1.3 hours to Carlsbad Caverns NP. The SP has a nice lake that appears to support boating and fishing and there is a stream on the access road where we always saw people swimming, fishing and floating around in tubes, as well as a little playground and a gravel walking path to the lake. 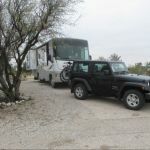 A few of the RV sites have a tree or 2 so some sites get some shade at different times of day. The humidity is low and it's hot in June with an almost constant breeze, if not wind. Electric was good (we didn't hook up to the water) and spacing was fair. They have a nice metal picnic table anchored to a concrete patio with a steel awning over it and a stone parapet on one side. VzW signal is excellent at 5 bars 4G, but there is no WiFi here. 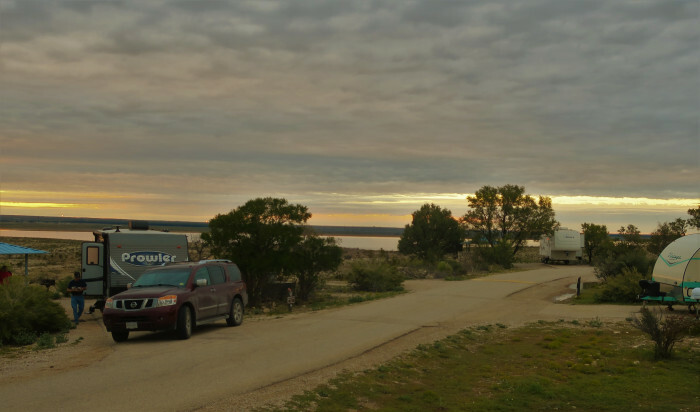 We camped at Brantley Lake State Park in a Fifth Wheel. Carlsbad Caverns is a must see, but the elevators are currently closed for repairs so you will have to hike in and out which is very strenuous. You may want to check their website or call ahead to determine if the repairs are complete before going. The caverns are about an hour drive from the campground. The nearest Walmart is about 20 minutes away. Living Desert State Park, about 10 miles south towards Carlsbad. Nice park along the Pecos River with plenty of shaded picnic areas and playgrounds for kids. If you're up for a challenging hike do the Dog Canyon hike. Round trip was 12 miles from our campsite and back and took us 9 hours. Steep and strenuous at times. Be sure to visit White Sands National Monument. On Saturdays and Sundays the park manager gives guided tours of Oliver Lee's ranch house that has been restored. Very interesting tour. Recommend a tour of Carlsbad Caverns. Easy to spend an entire day with the self-guided tour or one of the ranger lead tours. Amazing underground formations. Don't miss Carlsbad Caverns, particularly the bat flight program. Carlsbad Caverns just 30 minutes away. Visited Carlsbad Caverns and Guadalupe Mountains National Parks as well as Living Desert Zoo & Gardens. Time well spent. Really good BBQ at Red Chimney Pit BBQ in Carlsbad. Tender, flavorful ribs glazed with a slightly sweet sauce. Tasty pulled pork with house made mustard based sauce on the side. 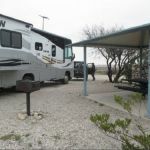 Carlsbad Caverns has become one of our top favorite national parks (and that's saying something since we are seeing a lot of them this year). Don't forget to stay there long enough to see the bat flight after sunset. While in Carlsbad, check out The Flume! 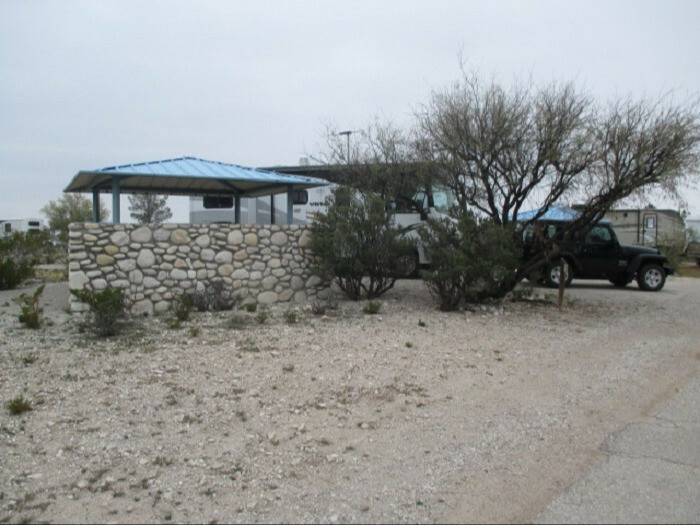 Definitely go check out the Carlsbad Caverns and also Living Desert State Park nearby. Roswell is only 70 miles away if you want to go see the UFO museum. Carlsbad Caverns is about an hour away. 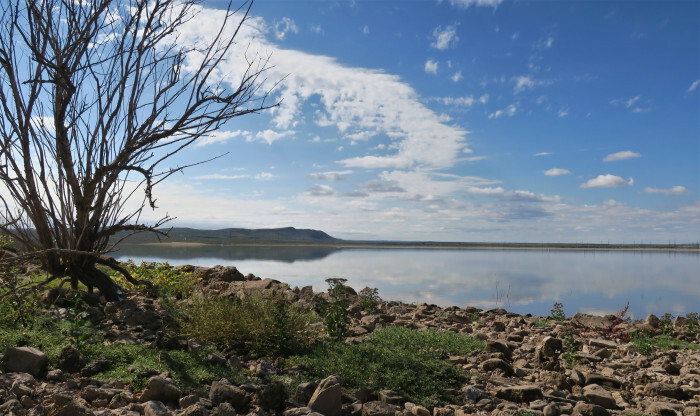 Carlsbad, Carlsbad Caverns, Brantly state park lake. Carlsbad Caverns is about 45 min. and shopping in Carlsbad 15 min. Are you affiliated with Brantley Lake State Park ?